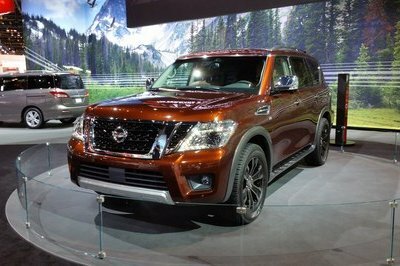 The night before the official kick-start of the 2016 Chicago Auto Show, Nissan pulled the covers off is 2017 Armada full-size SUV. This marks the second generation for the Armada, an SUV introduced in 2004 and based on the first generation Titan pickup. 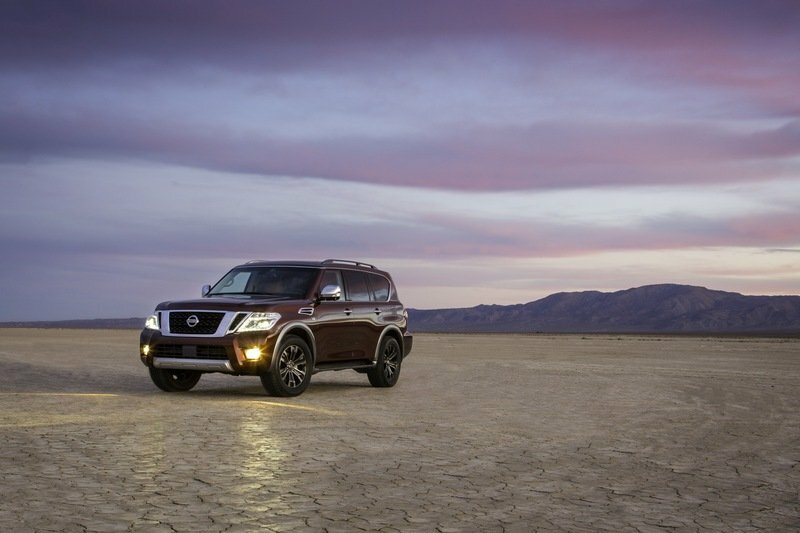 For 2017, however, the Armada leaves its Titan roots for the Nissan Patrol, the automaker’s three-row, eight-passenger SUV sold in markets around the world. The Patrol isn’t a stranger to the U.S. either. It’s currently sold as the Infiniti QX80. Both the QX80 and new Armada will share the same platform, similar design stylings, and interior themes. 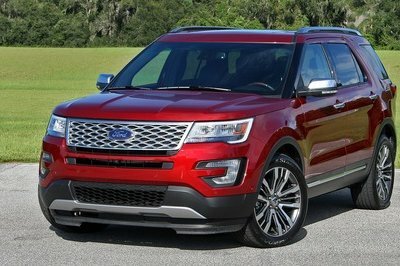 The similarities continue in the drivetrain department, as the two SUVs share an updated version of the 5.6-liter Endurance V-8. 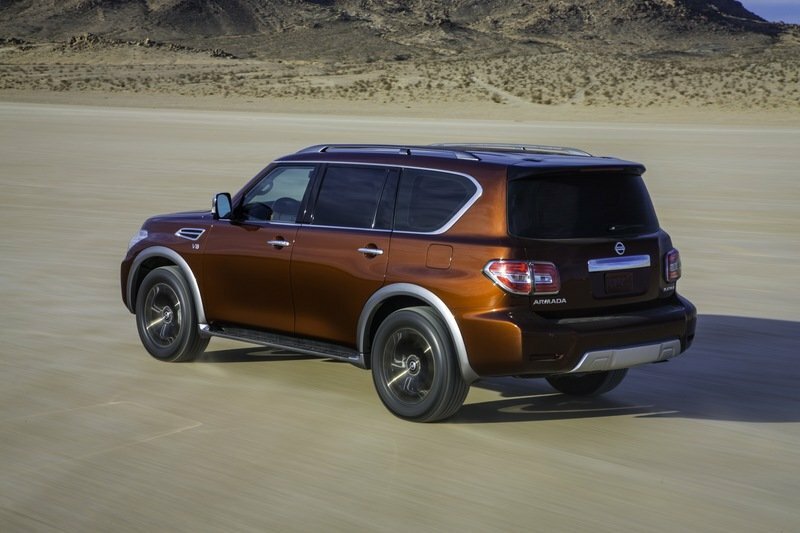 Though the two have slightly different horsepower and torque ratings, both the Armada and QX80 can tow 8,500 pounds. 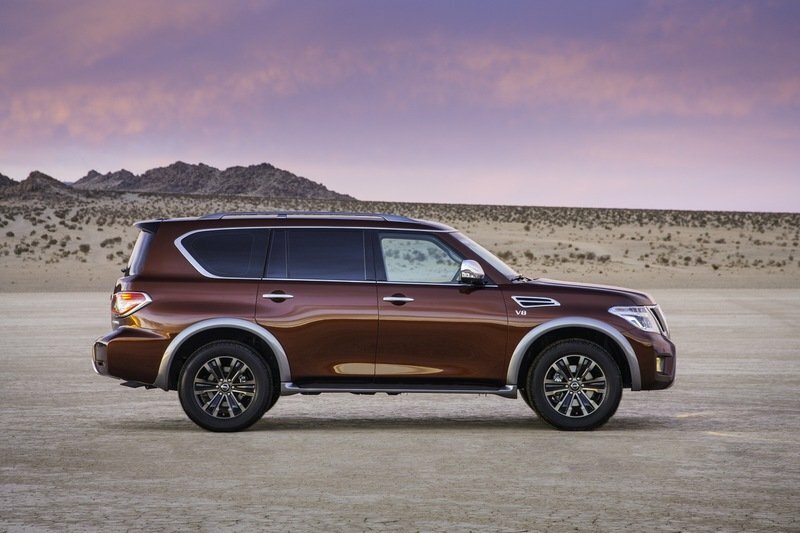 The QX80 aside, the new Armada is a giant leap forward for Nissan. Its comfort levels, active and passive safety features, and rigidity within the ladder frame and body structure are all vastly improved. 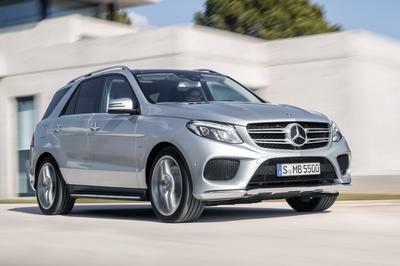 It also bookends the automaker’s complete revision of its SUV and crossover lineups over the last three years, with new editions of the Pathfinder, Murano, and Rogue. As before, the Armada sits atop the Nissan SUV lineup as the flagship. It offers the highest levels of available luxury and comfort, especially in its range-topping trim, the Platinum. Lower trim levels include the “base” SV and mid-grade SL trims. 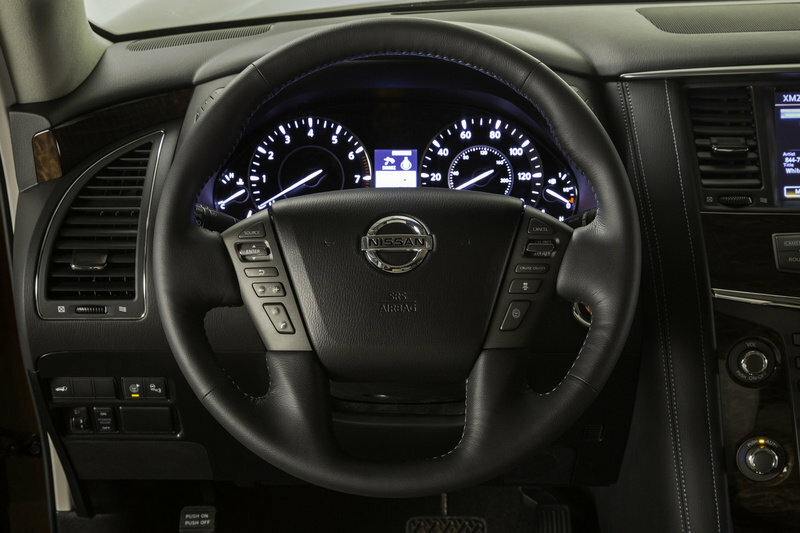 So lets take a look at the details that surround the 2017 Nissan Armada. 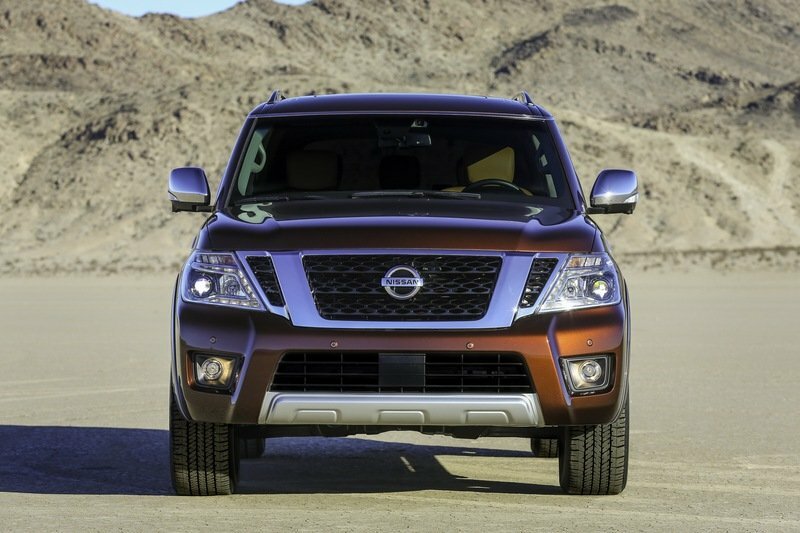 Update 08/15/2016: Nissan has released pricing for the 2017 Armada. Check out the “Price” section below for all the details. 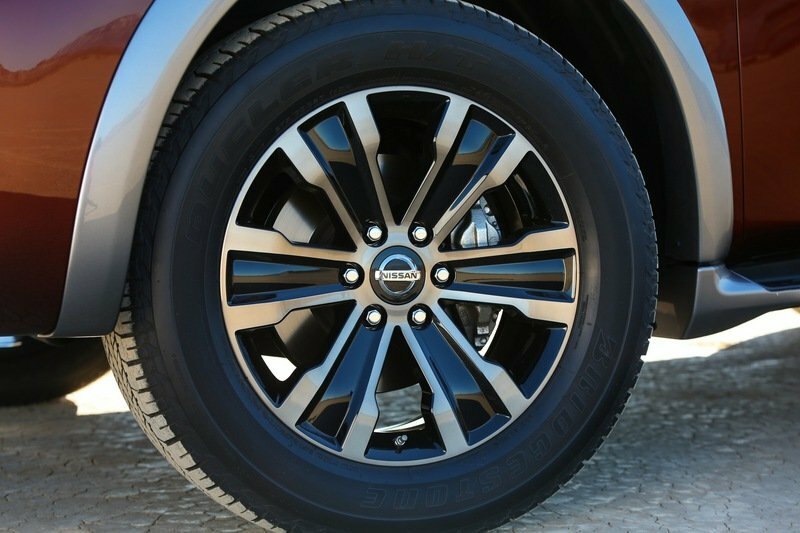 Continue reading to learn more about the 2017 Nissan Armada. The 2017 Armada clearly takes after the Nissan Patrol, going so far as keeping a similar grille design, upright windshield, kinked D-pillar, integrated side steps, and the arguably tacky fender vent. 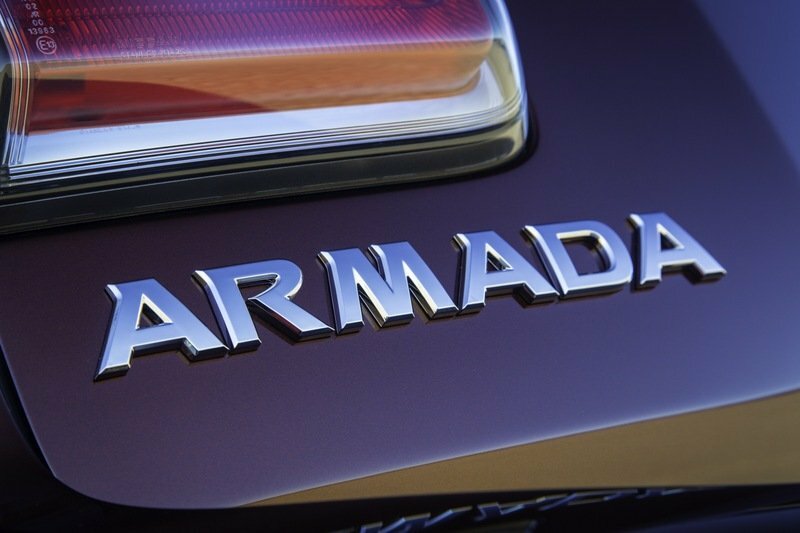 Of course, the Armada gets its own flavor of styling for the U.S., including its own front grille and bumper, LED encrusted projector-beam headlights, trim-specific 18- and 20-inch wheels, rear tailgate design, and LED taillights. Seven exterior colors are available, including Hermosa Blue, Mocha Almond, Forged Copper, Gun Metallic, Super Black, Brilliant Silver and premium, three-coat Pearl White. Handy exterior features include rain-sensing windshield wipers with a de-icing function, optional power liftgate (standard on SL and Platinum trims), standard two-inch receiver hitch out back, and Nissan’s 360-degree Around View Monitor. The camera system, along with the radar-based parking sensors, make easy work of maneuvering the large SUV. Like the Patrol it’s based on, the Armada comes ready to tackle off-road situations. Underbody skid plates, the four-wheel independent suspension, and optional 4WD with low-range gears complement the relatively impressive approach, break-over, and departure angles. 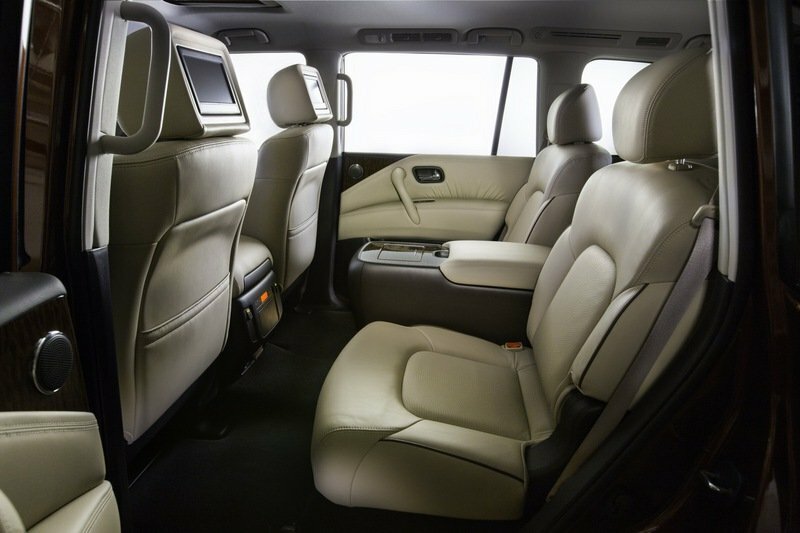 Opening the Armada’s doors reveals an interior that is simply massive. Legroom in the first and second rows are limo-like, while the third row is designed for more than just kids. Headroom is the size of Texas, further by the optional panoramic moonroof. Nissan’s Zero Gravity seats mean comfort is top notch, aided by power-operation up front and manually reclining seatbacks for the second row. Even the third row seatback recline thanks to extra travel in the power-folding function. HVAC vents in the ceiling keep passengers in the second and third rows comfortable, while dash-mounted vents, along with heated and cooled seats, keep the driver and front passenger happy. The Armada offers a maximum seating capacity of eight, though the second row can be had with dual captains chairs and a removable center console. The Armada offers a maximum seating capacity of eight, though the second row can be had with dual captains chairs and a removable center console. This is the preferable option if you’re mostly carting adults. Those adults will love the heated seats as well. For the kids, an optional DVD system is available, with two seven-inch monitors and inputs via USB, VTR jacks, or CD-style DVD or BlueRay. Wireless headphones can keep volumes in check. The DVD system comes standard on Platinum models. No matter what the seat, all passengers will enjoy the 13-speaker Bose sound system. Standard SiriusXM satellite radio comes standard, along with Nissan’s Navigation system with NavTraffic Real-Time Traffic Information. 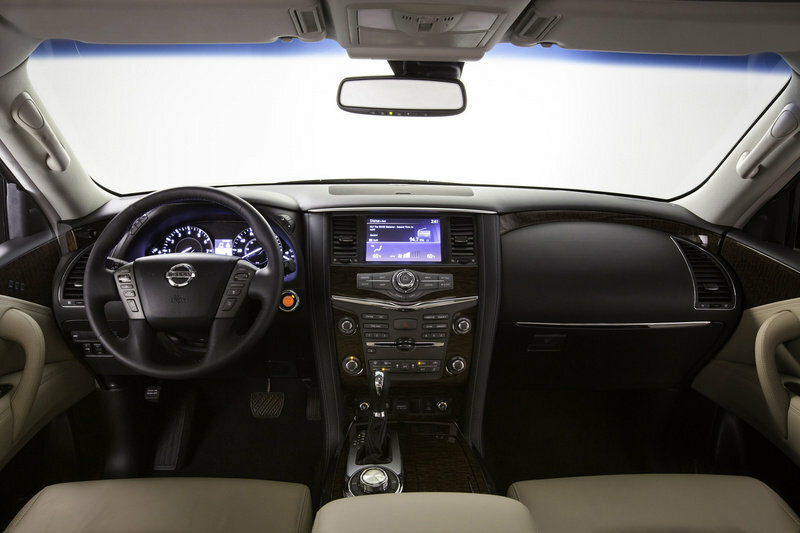 Besides the Bose stereo, Nissan says the interior has “library level” noise volumes. Acoustic glass on the windshield and front side glass, along with an extensive use of insulation, keeps outside noises to a minimum. When hauling cargo is a priority, the third-row seats can be power-folded flat while the second row has quick-release latches near the headrests. With the third row folded, the Armada offers 49.6 cubic feet of volume. Fold both rows and the space expands to 95.1 cubic feet. Cargo volume is a bit cramped behind the third row, however, coming in at 16.6 cubic feet. That puts the Armada in close competition with the Chevrolet Tahoe. The Armada’s interior comes in three color choices. Charcoal and Almond are offered in both cloth and leather, while Tan is available in leather only. Powering the Armada is a 5.6-liter V-8 that only shares its displacement figure with the outgoing engine. The engine is similar to the V-8 found in the QX80, but this is its first appearance in a Nissan product in the U.S. The V-8’s next appearance will be in the all-new Titan pickup truck. The engine is similar to the V-8 found in the QX80, but this is its first appearance in a Nissan product in the U.S. 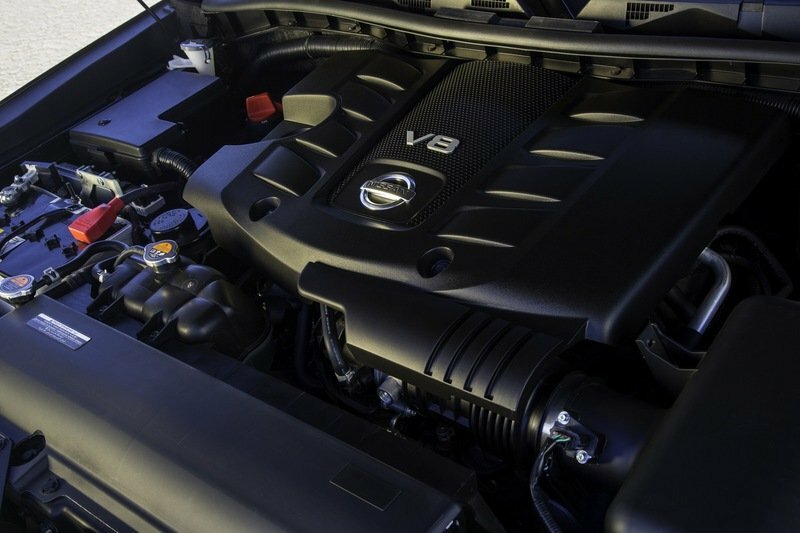 The completely revised engine uses direct injection – or what Nissan calls its Direct Injection Gas system, or DIG for short – to provide better wide-open throttle performance, improved fuel economy, and cleaner emissions performance. The compression ratio has been increased from 9.8:1 to 11.2:1 thanks to a new piston design. Furthering efficiency and power is Nissan’s Variable Valve Event & Lift technology, or VVEL. It combines hydraulic-controlled variable valve timing with electronically controlled variable valve lift on both the intake and exhaust sides. All told, the 5.6-liter V-8 kicks out 390 horsepower at 5,200 rpm and 401 pound-feet of torque at 4,000 rpm. Backing the engine is a seven-speed automatic transmission with Adaptive Shift Control and Downshift Rev Matching. Its wider gear ratios and features like a fluid warmer and idle neutral control help increase fuel economy over the outgoing five-speed automatic. For those who want 4WD, the Armada features Nissan’s All-Mode 4WD system. The electronically controlled, two-speed transfer case has four settings that include Auto, 2WD, 4WD High range, and 4WD Low range. Like with most part-time 4WD systems, power is sent to the rear tires until traction is lost. If set to Auto mode, torque is automatically sent to the front differential, providing power to all four wheels. When locked in 4WD, torque is evenly split between both front and rear axles. Low range gearing is set at 2.70:1, proving a decent crawl ratio for extra pulling power. The Armada’s mpg numbers have yet to be released, but they should fall roughly inline with the Infiniti QX80’s EPA ratings of 14 mpg city, 20 mpg highway, and 16 mpg combined. A 26-gallon fuel tank will provide a respectable driving range. The 2017 Armada comes packed with both active and passive safety features. On the active side, it includes Predictive Forward Collision Warning, Intelligent Cruise Control, Distance Control Assist, Forward Emergency Braking, Lane Departure Prevention and Warning, Blind Sport Warning, and Blind Spot Intervention. On the passive side is Nissan’s Advanced Air Bag System with dual-stage front air bags with seatbelt sensors and front passenger occupant classification, roof-mounted curtain airbags with rollover sensors, side-impact airbags, and front seat Active Head Restraints. Of course, each seating position comes with three-point seat belts while rear seating positions come with the LATCH car seat attachments. 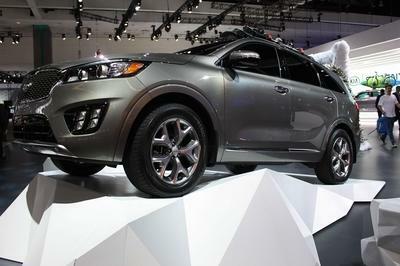 Front and rear crumple zones, an engine immobilizer, and a security system are included as well. We originally predicted the 2017 Armada would carry a $45,000 base price, while the range-topping Platinum model would start around $55,000. Our speculation is impressively close with the base SV trim, but a bit under what Nissan lists the Platinum for. The SV trim in 2WD form starts at $44,400. Opt for the mack-daddy Platinum in AWD, and the price shoots to $59,990. 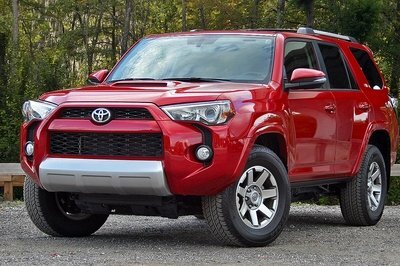 While expensive, this closely matches prices from the Armada’s top competitors. The venerable Chevy Tahoe has perfected the three-row, body-on-frame SUV and basically defines the segment. It offers plenty of room for seven – or eight in a pinch – while delivering all the latest tech and safety features, including Apple CarPlay and Android Auto. The Tahoe comes powered by the 5.3-liter EcoTec3 V-8 with 355 horsepower and 383 pound-feet of torque. Both 2WD and 4WD versions are offered. The Tahoe is not cheap, however, with a base price around $49,000 and a max price that exceeds the $60,000 mark. 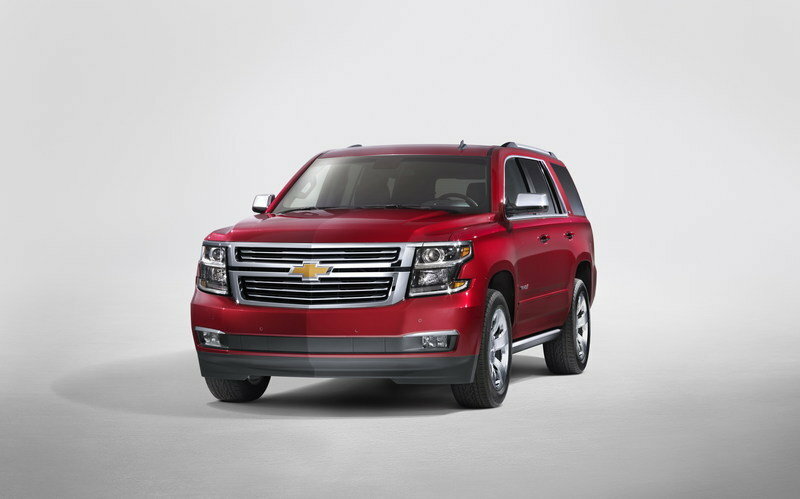 Read our full review on the Chevrolet Tahoe here. 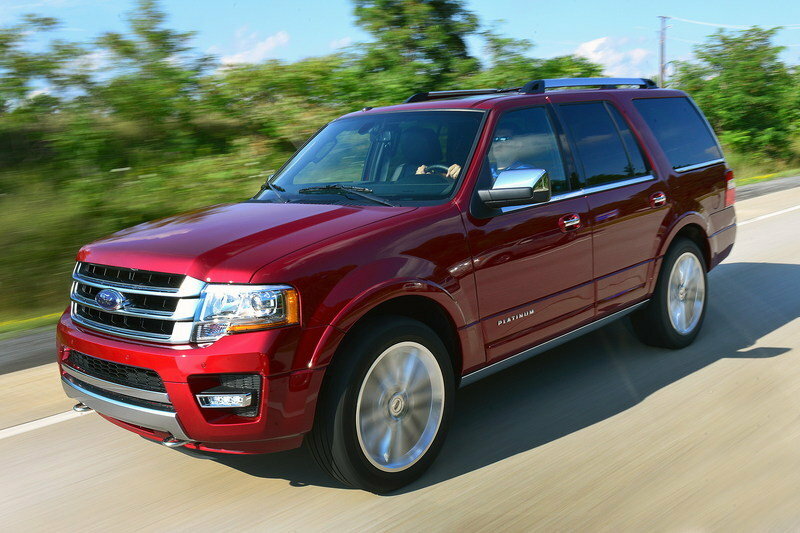 Read our full review on the Ford Expedition here. Nissan’s new wave of trucks and SUVs is impressive. With the new Titan, Titan XD, the updated crop of crossovers, and now the new Armada, it’s hard to ignore the Tennessee-based automaker. In terms of patriotism, the Armada does hold sad news. This new generation will be made in Kyushu, Japan. This does make room for both versions of the Titan pickup at the Canton, Mississippi plant, however. Regardless of its construction location, the new Armada promises to be a formidable contender in the full-size SUV segment. We can’t wait to get our hands on it. The 2017 Armada will go on sale in the summer of 2016. Updated 02/16/2016: We added a series of new images taken during Armada’s official debut at the 2016 Chicago Auto Show. Check the "Pictures" tab to see them. Nissan debuted the all-new 2017 Armada full-size SUV this evening prior to its upcoming appearance at the 2016 Chicago Auto Show, the largest auto show in North America. Nissan is also displaying a trio of "Winter Warriors," custom-built Pathfinder, Murano and Rogue models equipped with special snow tracks in place of their wheels and tires. "With the introduction of the all-new, second-generation Armada full-size SUV, the last piece of Nissan’s transformation of its SUV and crossover lineup falls into place following the recent makeovers of our Pathfinder, Murano and Rogue models," said Phil O’Connor, Director, Chief Marketing Manager, Nissan North America, Inc. "We’re particularly proud that with this new Armada we’re setting a new standard in class, offering advanced safety and security features usually reserved for much higher priced luxury sedans or premium SUVs." Inside, the 2017 Armada combines style, roominess and premium interior comfort – including special emphasis on quietness and quick interior cooling and heating. "Library level" interior noise levels (at idle) are achieved through the use of acoustic glass on the windshield and the front side windows, as well as through expanded use (versus the previous generation) of sound absorption materials.